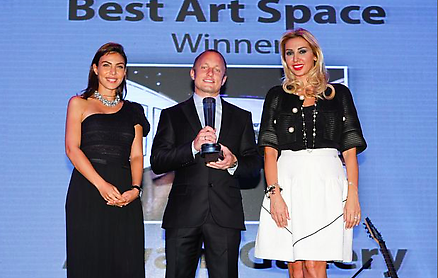 Ayyam Gallery was awarded 'Best Art Space' at the Arabian Business Lifestyle awards gala held recently at the Montgomerie Golf Club, Dubai. This was the inaugural event for the annual awards ceremony. The awards marked the launch of Arabian Business Lifestyle channel, a dedicated section within the Arabian Business website focusing purely on lifestyle and luxury.